These kids have everything I could want from interns: undeniable charm, total enthusiasm, and the ability to get things done magically fast! On Tuesday morning I conducted separate studio sessions with three adorable “wish kids” for Make-A-Wish. Based in Ann Arbor, the Make-A-Wish Foundation of Michigan grants the wishes of children throughout Michigan facing life-threatening medical conditions. The goal is to affirm the human experience with hope, strength, and joy. 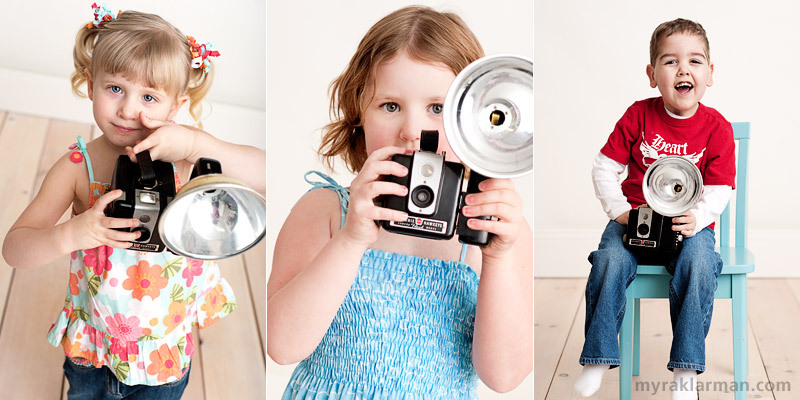 I’ll give you one guess as to all three kids’ single, most favorite prop — the one item none of them wanted to put down: a vintage Kodak Brownie Hawkeye Flash that I chanced upon years ago at Found, but just recently brought to my studio. Each of the kids immediately recognized the Brownie was a camera, and all were eager to put ME in the hot seat. They clearly understood that it’s a lot safer and more empowering to be the one behind the lens, rather than the one in front of it (although that could just be me projecting). Watching the kids explore and attempt to use the camera was utterly fascinating. I didn’t anticipate that the Brownie would be so compelling, or that it would spur the kids to turn the tables on me engage with me like they did. 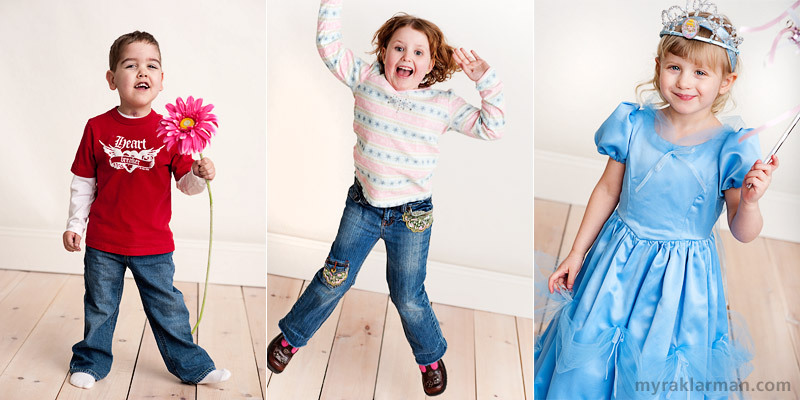 I’m delighted to chalk this up as yet another magical photo shoot on behalf of Make-A-Wish. All the shots I got of Joshua, Tabitha, and Samantha are wondrous and beautiful. And — you can believe I’m especially grateful for this — all the shots they got of me are purely make-believe! The back story makes these all that much more amazing!